The Natural history Museum London has always been one of my favorites. If you want to see Dinosaurs, a giant Blue Whale, animals from all over the world and discover how volcanoes work, then this is the place to visit. 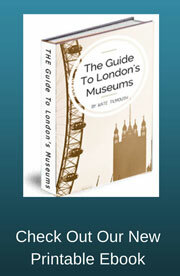 This is a must see London museum, so make sure you put it on your itinerary when you visit the city. This is a great introductory video which I know will blow your socks off and make you want to visit as soon as possible. Special exhibitions will be charged for, price for these will vary. There are two entrances, one on Cromwell Road which has some steps the other is on Exhibition Road and has no steps. Where do I start, the Natural history Museum London is packed full of great things to see, so it's difficult to pick out the best bits because all of it is great. But your trip to the museum may be short so you'll want to get the most out of your day, so I'll highlight some of the best areas of the museum. Why? Because the museum has displayed them in such a fantastic way, you will really feel that you are surrounded by these giants from the past. It's both fascinating and a little bit scary. I think this room must be one of the most famous in the whole museum. The giant blue Whale which hangs through the middle of the gallery dominates the room. As soon as you walk in it takes your breath away. The room also contains other large mammals such as elephants and rhinoceros's and other large sea mammals. This is a spectacular room. See more pictures and videos on my mammals gallery page. This is a new edition to the museum and is quite simply stunning. This area is where the scientists at the museum carry out their research on the natural world. The centre contains thousands of bottled specimens from all around the world. 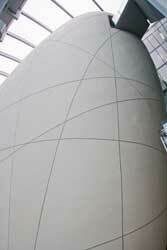 A giant Cocoon has been built within the centre which contains the specimens. This structure is worth seeing alone. This was another new area I hadn't seen before and yes it took my breath away too. Stunning colours, interactivity and turn any corner and something new for your senses hits you. The main hall contains a huge Earth like structure which hangs in the air above you and which you can travel through via an escalator. It is simply fantastic and you just have to come and see for yourself. If you can't make it or can't wait to see this area of the Natural History Museum London then take a look at my Earth Hall page for more picture and videos. 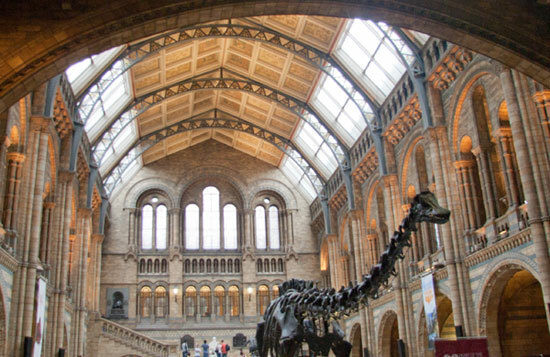 The Natural History Museum London as the name suggests contains all things to do with the natural world, past and present. The museum is divided up into different coloured zones which make it very easy to find your way around and get to the areas of interest you want to see. The museum is very large and you will need to take lots of breaks. 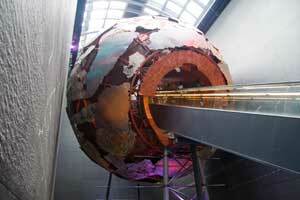 Luckily the museum has four areas to eat and drink, ranging from simple snacks to full freshly prepared meals. There’s something to suit everyone's budget. You can even bring your own food and eat it within the picnic area. There are also three separate shops within the museum selling items to remind you of your visit and which are specific to certain areas of the museum. So there is a separate Dino store (the kids particularly like this one), Earth shop (contains some beautiful semi precious stones and more and a general museum shop. I visited the museum recently to update myself with all the new galleries and exhibits I knew the museum had obtained in recent years. I can tell you I was amazed at what I found and just how much I enjoyed myself. 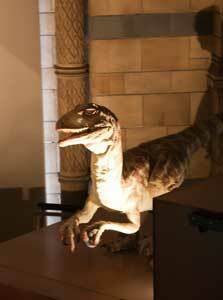 You can also add your own review of your visit to the Natural History Museum. i think persoanl experience and recomendation is one of the best ways to really get a feel for a place. So don't be shy, share your thoughts of the musuem, what did you like best? What would recomened people go see and why? Was there something you didn't like about the museum?